At EclipseSource, we continuously drive innovation in a variety of open source projects to built tools upon. Our goal is to create, adapt, enhance technologies fulfilling the requirements of our adopters and customers. As truly global company, we do that in a distributed way and in our days, we are blessed with the communication channels to efficiently do so! Once in a while, we believe innovation still requires the good old “garage mindset”, specifically having all ideas, innovation and therefore our team in one room. We do this once a year during our “EclipseSource Open Source Week”. For this week, team members from various locations worldwide meet at one venue. We collaborate in multiple teams, no distractions, no limits, just full focus on driving innovation. The overarching topic for this years OS week was “web-based modeling tools”. Web-based tooling becomes more and more important for our customers. We have recently blogged about general considerations in this topic. Presenting all the great results of the OS week 2018 is beyond the scope of this article, as a sneak preview, please see the screenshot below of one of the modeling tools we built based on Eclipse Theia, JSON Forms, LSP4J, Sprotty, and GLSP. At EclipseCon in October we presented parts of the results of our OS Week in IDE in our talks, e.g. 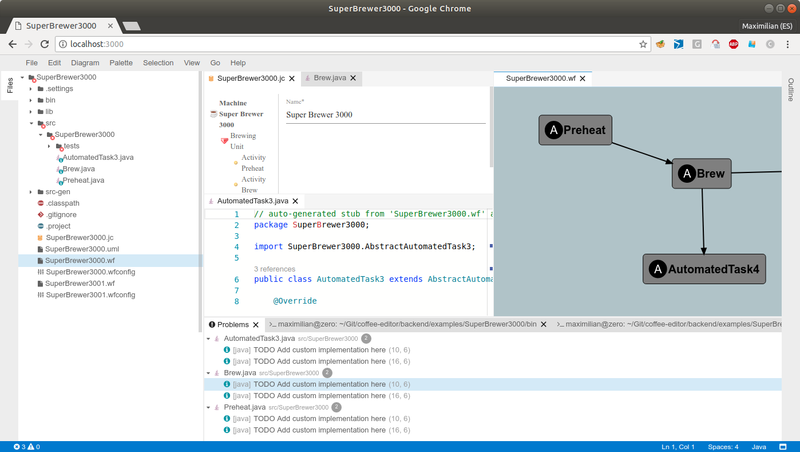 “Building web-based Modeling Tools based on Eclipse Theia”, “Towards a Graphical Language Server Protocol for Diagrams?” and “JSONForms 2.0”. Apart from the technical content the OS week is also an important social event for us and plays a crucial role in team building. 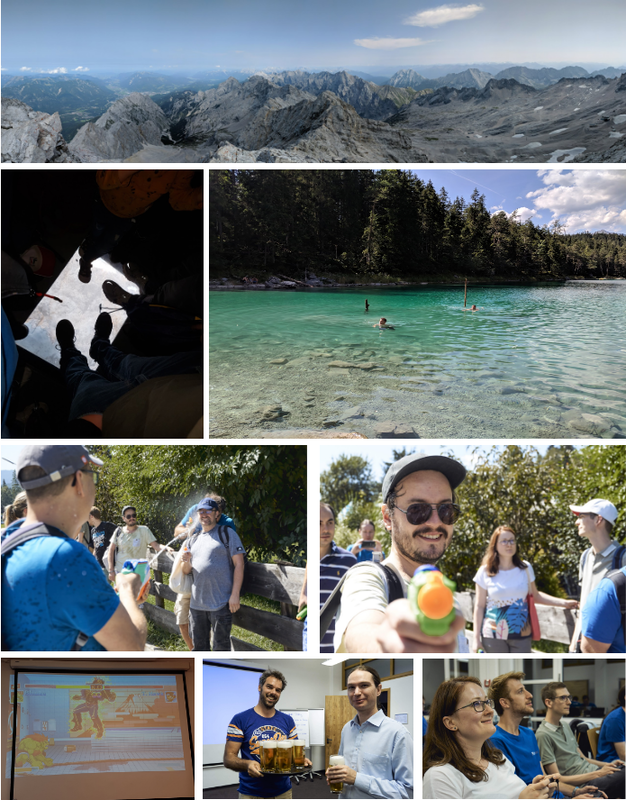 Below are some impressions from a trip to the extraordinary Zugspitze and a walk to the beautiful Eibsee including a refreshing jump into the lake and a water pistol battle. Also a brief video is available here. Want to join us for next year’s OS week? Become a member of the team!